While the engineers at Microsoft obviously thought these ‘improvements’ were great ideas, I’m yet to come across a financial modeler who isn’t mourning the loss of performance that they have caused, so I thought I’d share some performance tips we’ve discovered at Modano that might help mitigate the pain. 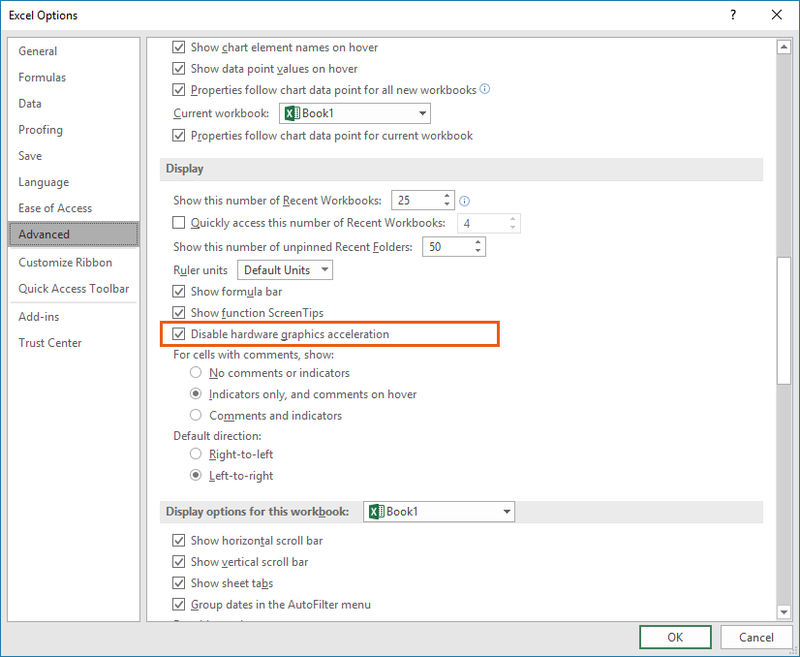 A performance biproduct of the single document interface (SDI) is that each workbook has its own window which needs to be redrawn each time Excel is repainted on your screen. We expected Microsoft to have better optimized the management of these windows, but basic testing shows that the rendering of Excel slows with every additional open workbook. And when custom ribbon items are thrown into the mix, including the Modano ribbon tabs, the impact is even more noticeable. So, if you’re not using workbooks, close them rather than leaving them open to drag all the others down. Ironically, while the phrase hardware graphics acceleration might sound like a performance improvement, it’s really referring to a whole bunch of unnecessary animations happening while you use Excel that you hardly notice, but that actually slow things down. None of the settings in this list are necessary, and all of them slow down your computer. Personally, the only one I leave switched on is the Smooth edges of screen fonts setting, as I find that some fonts appear jagged when this option is turned off. The remaining settings had no positive impact at all for me, so I switched them all off. When using Excel 2010, many financial modelers experienced Excel crashing after exceeding the 1GB memory limit. Since July 2016, Excel 2016 has been large address aware, which means that the 32-bit version of Excel 2016 can use 50% more memory than the 32-bit version of Excel 2010. While this might not sound like much, from our experience building very large models for Modano clients it is more than sufficient to handle the vast majority of financial models without needing to install the 64-bit version of Excel 2016. And if it is an issue, it’s usually a model scoping and design issue rather than an Excel issue. Very few Excel users understand that the 64-bit versions of Excel use twice as much memory as their corresponding 32-bit versions of Excel, so it’s not as simple as saying that the 64-bit versions of Excel can open files twice as large. In fact, this statement is both incorrect and misleading, and it’s more accurate to say that any 64-bit version of Excel will almost certainly be slower than its corresponding 32-bit version, because it must do twice the lifting to complete the same tasks. Importantly, while Modano works fine on 32-bit and 64-bit versions of Excel, 64-bit versions of Excel often have compatibility issues with many add-ins, and add a layer of complexity when writing VBA macros and working with other parties, who will usually be using a 32-bit version of Excel. So, put simply, don’t use the 64-bit version of Excel 2016 unless you absolutely need to do so. And afterwards, revert to the 32-bit version of Excel 2016 immediately. Like the rest of the world, Office is heading into the cloud, and it’s going to allow all sorts of exciting new ways of collaborating when using Microsoft Excel. There’s only one problem – it’s all still a bit clunky. 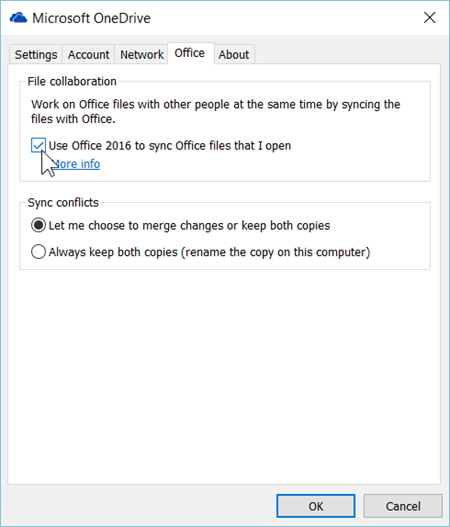 We’re yet to narrow down the performance hit culprits into an exhaustive list, but we’ve had feedback from clients using Dropbox, Google Drive and OneDrive, indicating that switching off auto-syncing often significantly improves the performance of Office, including Microsoft Excel. The strange thing about OneDrive is that it behaves very differently depending on whether you’re using it for personal use or corporate (e.g. SharePoint) use, and depending on your internet/network connection. For example, one of our users reported that auto-syncing had no impact when connected to their home internet connection, but caused Excel to lag for 3-4 seconds when connected to their work internet connection (network). We’re guessing this is a result of certain network group policies and firewalls fighting or completing with OneDrive, but there are so many variables to consider that it’s often just a case of trial-and-error. All things aside, we can confidently say that auto-syncing to cloud storage systems is a common cause of diminished performance of Excel 2016. I can’t guarantee that any of these tips will materially work for you, but at Modano we have an ongoing obsession with optimizing the performance of Excel, particularly Excel 2016 as it’s proving quite challenging. If you’ve found other ways of optimizing Excel 2016, please share below so we can all benefit from your experience. Thanks M. This is actually very handy to know as I have been experiencing a lot of performance issues of late. I very much notice it when I'm managing linked workbooks, given I have to have them open (and I run 64-bit). At least I know and can work around that now. Thanks for your observations based on "real world" experience, I always prefer tips based on that sort of experience. #2 Hardware Exceleration applies to the whole Office Suite. So turning it off in any application, applies to the rest of the Office bundle. That is a basic Windows optimization tweak I've been doing for year. I never have been fan of the fancified "bells and whistles" and other visual gimicks. That is intersting. This is the first time I've heard that Excel crashed around 1GB of RAM use. I was under the (unconfirmed) impression that 32 bit Excel, like other Windows applications could handle up to approaching 2GB of RAM. ... This change lets 32-bit installations of Excel 2016 consume double the memory when users work on a 64-bit Windows OS. The system provides this capability by increasing the user mode virtual memory from 2 gigabytes (GB) to 4 GB. This change provides 50 percent more memory (for example, from 2 GB to 3 GB) when users work on a 32-bit system. If you are not using OneDrive you should also make sure to turn off the part of OneDrive that loads at boot time. It has a high startup impact. In win 10 go to task manager > Startup tab. I just wanted to share my work on the subject of spreadsheet limits, which I began in 2014 for a Eusprig conference. Some of the points in this Modano article are dealt with in my book. For anyone who whises to download it, it's free in pdf format. Thank you. Have a nice day. 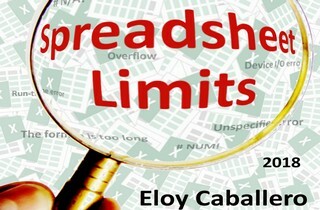 Eloy - thanks for referencing your Spreadsheet Limits 2018. Am I missing something, or is that document in Spanish? And, if so, do you have an English version? Just noticed that Eloy's book is linked to at the end of the text in Spanish, under "Descarga" (it is a .pdf file, in English). My website is in Spanish but the book is in English. Look for the download section (Spanish Descarga) at the bottom of the article or on the right side of the web. These tips are really helpful - good recipe to set up a new laptop. Only thing I've noticed (and I'm not sure if it is related to any of the changes in Michaels original post) but the rendering of Traverse window in Windows 10 seems to be a bit "off". Has anyone else encountered this? Hi Tarjei - Rendering is always a challenging one as it's impacted by a lot of things like drivers and display settings. We often find users have issues with Excel rendering when they buy new machines with non-100% zoom settings and/or multiple monitor displays. Are you able to take a screen shot of the rendering issues you're experiencing? 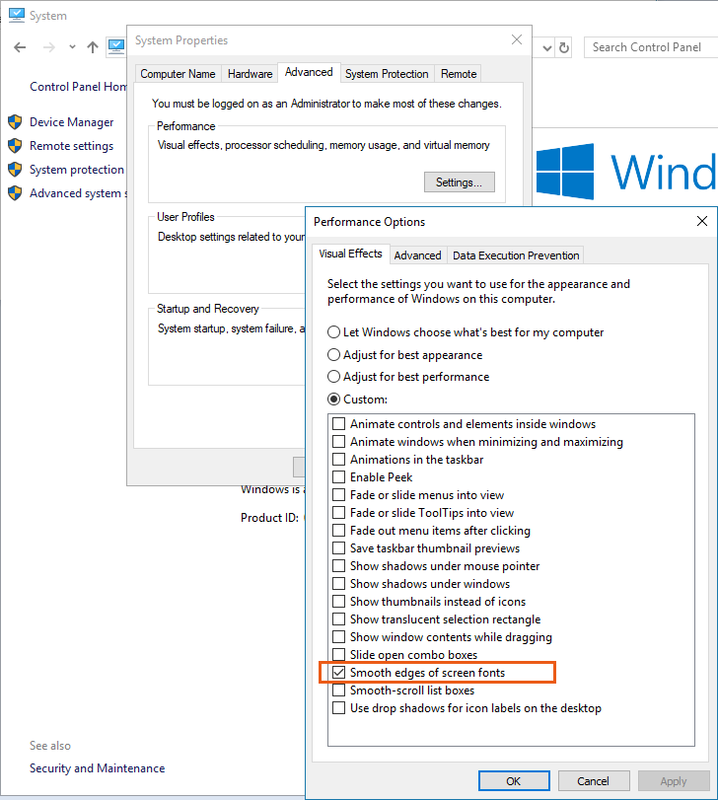 Thank you Michael, but this morning Win10 kindly offered to adjust the display settings to correct dialog boxes appear blurry and this has fixed this problem. I have 4 monitors set up so that probably caused it in the first place.